Kimi Raikkonen has cut a frustrating figure in Formula 1 in recent years. A driver capable of great things but delivering them sparingly, one inspiring great fan devotion yet rarely rewarding it with his results. In the 99 starts of his second Ferrari stint, he resembled a top liner only in brief flashes and rarely strung together the consistently strong race weekends required of a true top gun. He clogged up a top seat for five years, occupying a car that could have been put to better use by others, and made the battle at the front more one-dimensional. He looked like a man of the past and, save for that glorious day at Austin last year where he nailed it with victory, he largely was - despite last year being the best season of his Ferrari comeback. But by moving to Sauber, he becomes something else. Some argue that the 39-year old should have retired rather than returning to Sauber simply to pick up some midfield results and blocking an up-and-comer from taking his place. But as a Sauber driver, he is immediately a more positive influence in F1 and therefore far easier to appreciate having around. First and foremost, it keeps a star name on the grid. Raikkonen consistently performs well in F1 driver popularity polls thanks to his distinctive brand of anti-charisma. And although his more aggressive fans make bizarre excuses for his results, most simply enjoy supporting him regardless of the final outcome. And there's nothing wrong with that - it's what sports fandom is about. Assuming Raikkonen does finish his F1 career with Sauber, the symmetry is an irresistible storyline. 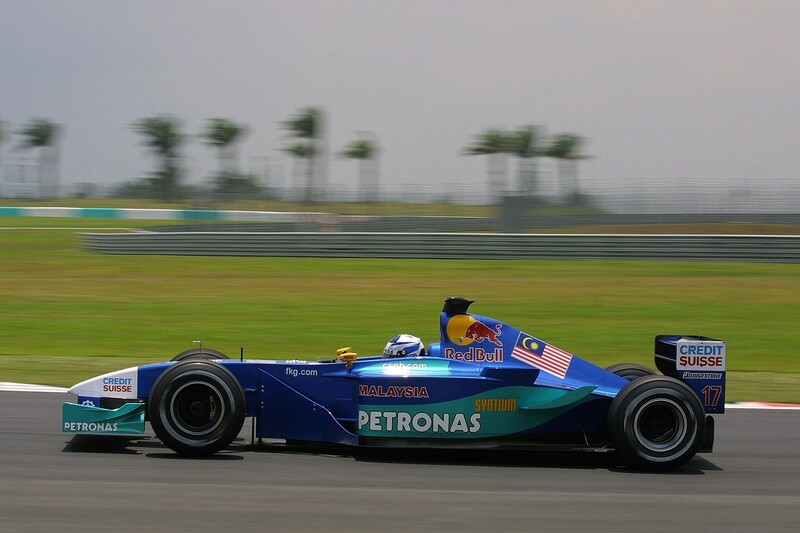 To return to the team that gave him his improbable big break straight out of Formula Renault UK in 2001 (above) bookends his successful grand prix career neatly. The move also showcases a little of what makes Raikkonen so popular. While he was evasive about his reasons for joining Sauber when quizzed about it shortly after the deal was announced, at heart it's clear he is willing to race in the midfield because he genuinely does enjoy competing in F1. His willingness to go back to a team such as Sauber, a re-emerging force but one very unlikely to give him a shot of winning in normal circumstances, is a testament to that enthusiasm. It's also enjoyable to watch a veteran driver plugging away down the order with a midfield team. The number of world champions who have done this is surprisingly small, Fernando Alonso, Alan Jones, Jacques Villeneuve and Emerson Fittipaldi spring to mind (all in circumstances different to Raikkonen's) but there are more examples of race-winning drivers who have done this. In the late 1980s it was always compelling watching to see how awkward former Renault and Ferrari ace Rene Arnoux could be when his Ligier was lapped. And Arnoux's former Ferrari team-mate, Michele Alboreto, put in some great Indian summer performances. 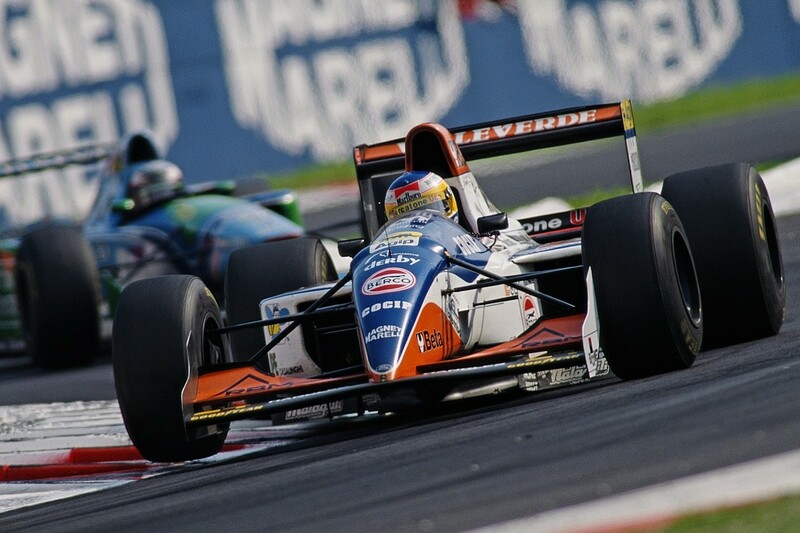 You couldn't fail but feel bad for him when he took yet another of his six seventh places for Footwork in 1992 during an extraordinary pointless run of eight mid-season grands prix, and he was still competitive in his swansong with Minardi in '94 (below), nine seasons on from his final victory. But Sauber itself gets nothing out of Raikkonen having a good time and, although his popularity will have some value commercially, he hasn't been signed as an entertaining sideshow. What's most important is that he can be of genuine value to team boss Frederic Vasseur and his (so far) successful attempt to rebuild a team that was on its uppers not so long ago. Raikkonen will still be the same driver at Sauber as he was at Ferrari. Just as he has always been, he will be too sensitive to the feel of the front end and not often enough in a window where he can produce the searing speed that still does turn up in the occasional flash. But he's consistent, very rarely gets into on-track scrapes, and should be able to pick up a decent amount of points if the car is up to it. More importantly, his experience gives the rebuilding team a driver used to the working practices of top teams to learn from. 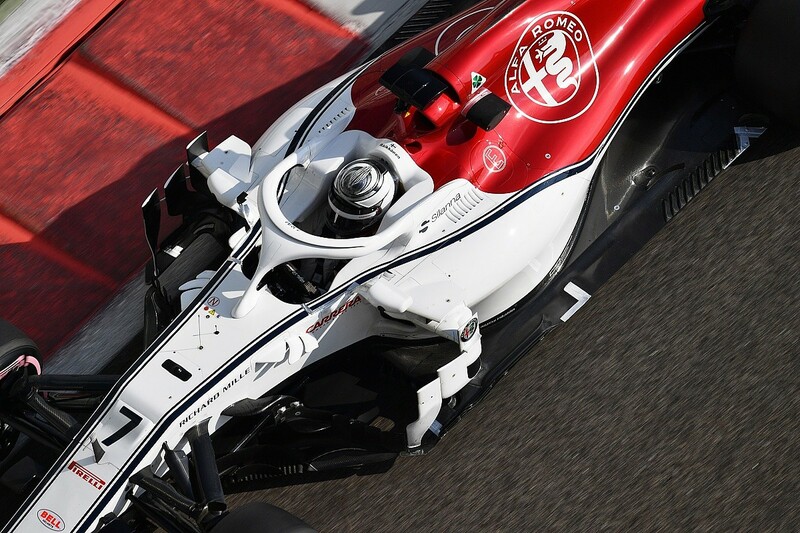 Superb as Charles Leclerc was, and as underrated as the handy, but very streaky, Marcus Ericsson was, Raikkonen brings a new dimension to Sauber. Often you hear those working with drivers mention what having a top liner brings in terms of the way they work. Raikkonen's biggest strength at Ferrari was the precision of his feedback, which he usually acquires quickly and communicates with his trademark brevity. While the premium on track time thanks to the lack of testing makes it more difficult to give Raikkonen the ideal front-end feel (the lack of tenability of tyres also plays a huge part in this), he will allow Sauber to be efficient. His experience could also allow him to detect characteristics and problems that have previously gone unnoticed. Raikkonen's feel for the car is outstanding. Raikkonen's skillset is of genuine value. He's one of the few relics of the days of vast amounts of testing (pictured above with McLaren in 2004) on the grid so is an asset in terms of the sheer F1 seat time he has racked up - 297 days of official testing alone. With the number of test days currently available, it would take a young driver 33 years to rack up that number. It's not simply the case that a midfield team doesn't need a great driver at the peak of their powers, and therefore Sauber is good enough for a driver like Raikkonen. While the job all 20 drivers on the grid are doing is very similar, different teams do have different demands. A team in Ferrari's position is a pressure cooker environment where it's all about consistently getting the best out of a strong package and finding the tiny gains needed to stay at or near the front. But in the congested midfield, things are a little different. 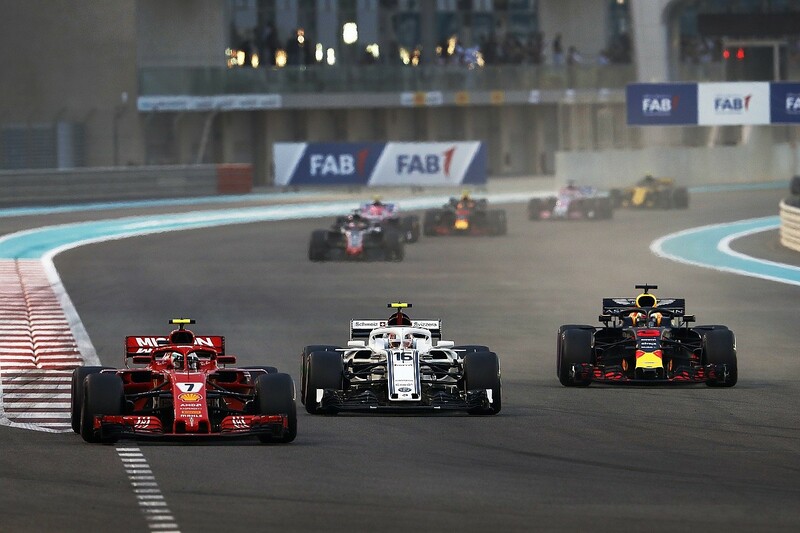 The teams by and large don't have the same resources as F1's behemoths so the value the knowledge a driver such as Raikkonen brings is invaluable. And while Raikkonen wasn't always the most incisive driver when up front, he's clean in battle and doesn't often make race-ending errors. What he needs to be careful of are performances such as the days when he faded to the back of the six-car 'Class A', since in the tight midfield that could be the difference between an eighth place and 18th rather than third and sixth. The hope is that his all-round impact on the team will more than compensate for the races when he goes missing and falls on the wrong side of the split between 10th and nowhere. Leclerc placed himself on the right side of this divide with great regularity. By pairing Raikkonen with the inexperienced Antonio Giovinazzi, Sauber has a classic combination of the grizzled veteran ready to bring their knowledge to bear and the ambitious young gun - in Giovinazzi's case with a couple of 2017 starts and endless Ferrari simulator mileage to build from. Team personnel should simultaneously be enthused by Raikkonen's mythical presence and Giovinazzi's hunger. Tempting as it is to suggest Sauber would benefit from two star rookies, the danger there is that driver inexperience means you get lost. There's little chance of that with Raikkonen. And he is the perfect benchmark for Giovinazzi to compare himself with - and for Ferrari to evaluate the Italian's performances. Vasseur spoke about the positive spiral that helped Sauber convince Raikkonen to join in the first place. And the Finn can be an important part of maintaining that. That's important to Sauber because, while climbing from the back to becoming a marginal Q3 runner that picks up the occasional Class B win is laudable, the higher you rise the harder it is to continue to climb. The low and some of the medium-hanging fruit has been picked, so from here it gets tougher. "We had Ferrari, Alfa Romeo, we had Charles joining the team," said Vasseur of last year's progress. "We took Jan Monchaux, Simone Resta, brought them into the factory. Each week we had good news, it's like a spiral. The motivation is there, the mood is huge compared to last year, the team spirit." Continuing to deliver that good news is always going to be difficult, but don't underestimate the galvanising effect working with a world champion will have on the team. Doubly so given there are still a few who were there back in 2001 when the young Raikkonen first stunned F1 with his rookie performances. Raikkonen is set to be at Sauber for two years and, while it's not out of the question that he would race in F1 beyond that point, when he does walk away from Sauber he will likely have left it a better place for his successors. First time around, he departed with the team fourth in the constructors' championship, and it's not impossible he could repeat the trick second time round. While he's not the right man for a top team, and hasn't been for some years, he's an ideal horses-for-courses selection for one battling its way up the order to establish itself decisively as a credible force in F1. And to see a driver of his standing - one of just 33 to have won the world championship - making such a positive contribution is far better than seeing him underachieve at the front. Even if the overall results will be less impressive.